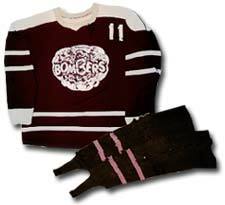 Bobby's Flin Flon Bombers jersey and socks from his days in the Western Canadian Junior Hockey League (1966-1969). 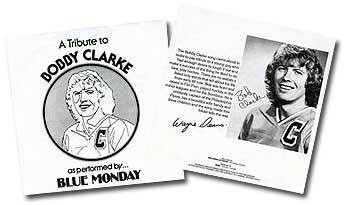 A 45 record album titled, "A Tribute to Bobby Clarke", performed by Blue Monday. 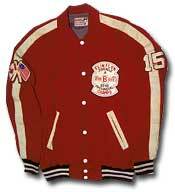 Clarke's Flin Flon Juvenile 'A' provincial championship jacket from the 1965-66 season. 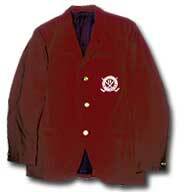 Bobby's Flin Flon Bombers blazer (circa mid 1960s). 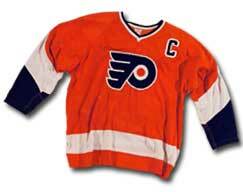 Bobby Clarke's Flyers #16 captain jersey, later retired by the Philadelphia organization. 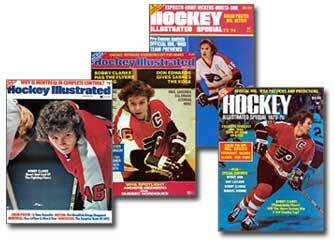 including these Hockey Illustrated editions. 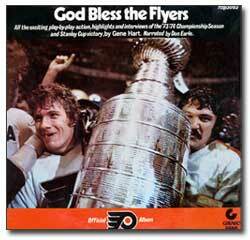 "God Bless the Flyers", a vinyl record of play-by-play action, highlights and interviews of the 1973-74 Championship Season and Stanley Cup victory, narrated by Don Earle. Weighted-lead practice pucks used by Bobby Clarke during his tenure in the Western Canadian Junior Hockey League as a member of the Flin Flon Bombers. Bobby Clarke's stick used to record his 119th point of the 1975-76 NHL season establishing a team record for the Flyers. Clarke finished second in league scoring that year and went on to capture the Hart Memorial Trophy as league MVP.